Did you know that your computer is not fully secure? Your computer is constantly sending and receiving data when it is connected online, without your knowledge. Hackers can connect to your computer from anywhere in the world and upload malware, viruses, trojans, ransomware, and the likes directly to your computer. If any of these malicious software programs are already in your computer, they are constantly stealing your data and sending it back to their creator. Data analytics companies are constantly tracking and pulling data from your computer so that they can direct market products and services based on your browsing history and behaviors. Cyberattacks are on the Rise. iSecure Protector Blocks 100% of Incoming Connetions. 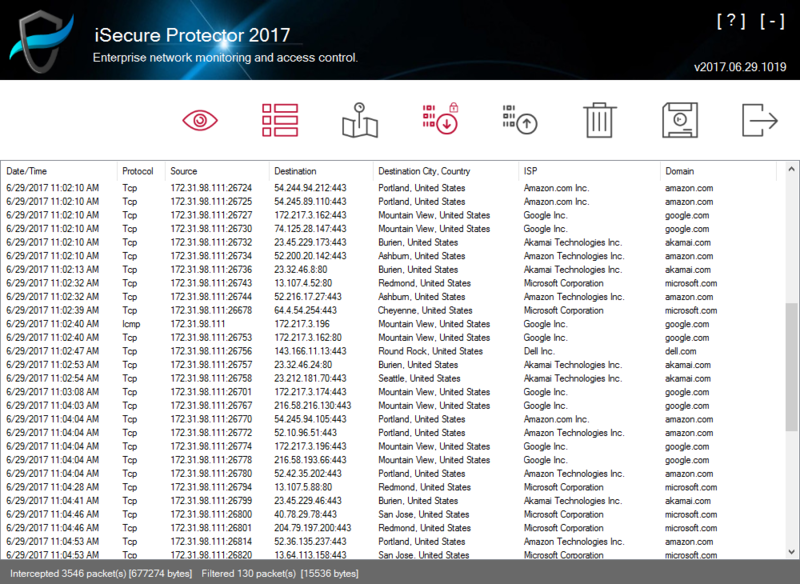 iSecure Protector 2017 gives YOU full control of your firewall to see and block all incoming connections with detailed analytics and information from devices accessing your computer. iSecure Protector creates additional barrier that prevents all attemps to make connections to your computer. iSecure Protector monitors all programs and entities trying to snoop on your computer. iSecure Protector gives you full control of who receives data from your computer. If data are flowing to suspicious ISPs, you can quickly block them from receiving information. Once blocked, devices managed by those ISPs will be automatically blocked. Don't like advertisers snooping or gathering data from your computer or your browsing behaviors, just BLOCK THEM with just a double click! "Leveraging dynamic PKI for secure communications and signature dynamics for biometric-based authentication can tremendously reduce potential cyber incidents. iSign delivers pioneering, ground-breaking solutions by proactively detecting and preventing cyber threats with such brilliant and practical approaches." © 2017 iSign International Inc. All Rights Reserved.